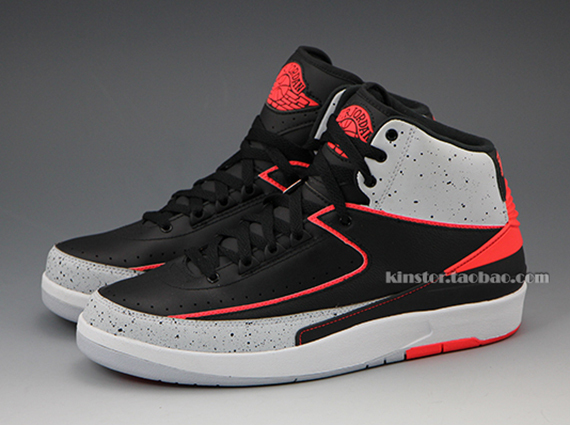 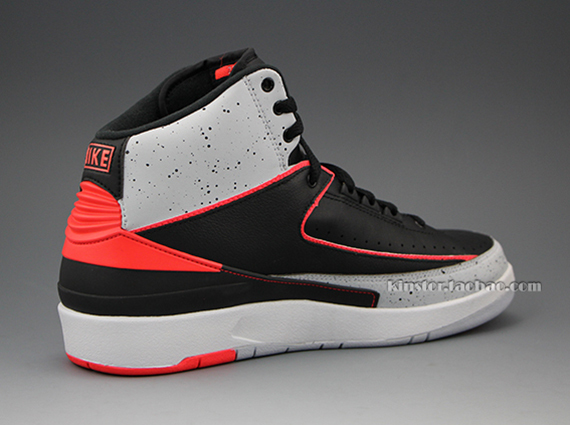 The Air Jordan 2 Retro will be one of several 'Infrared 23' models released this year by the Jordan Brand. 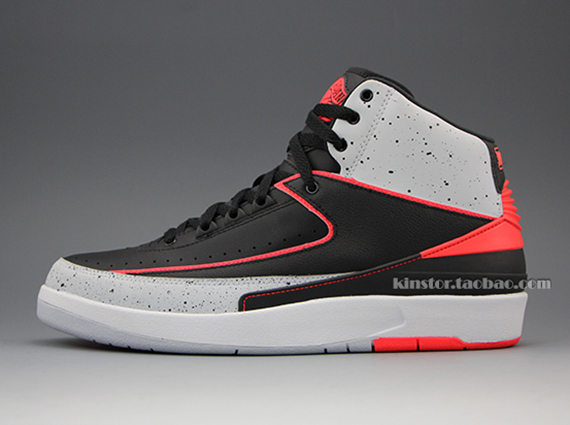 The new look Air Jordan 2 Retro sports a full leather upper covered in black and grey, and is topped with classic Air Jordan speckle print. 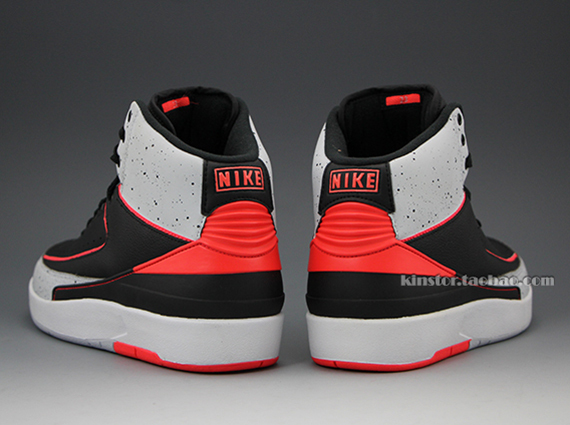 Borrowing the AJ VI's most recognizable design cue, we see infrared accenting throughout the AJ II's luxurious design. 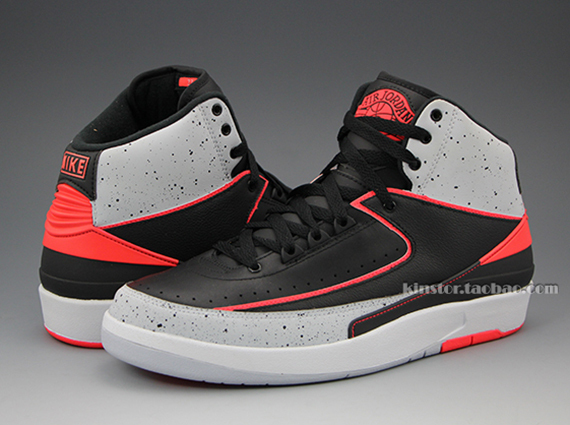 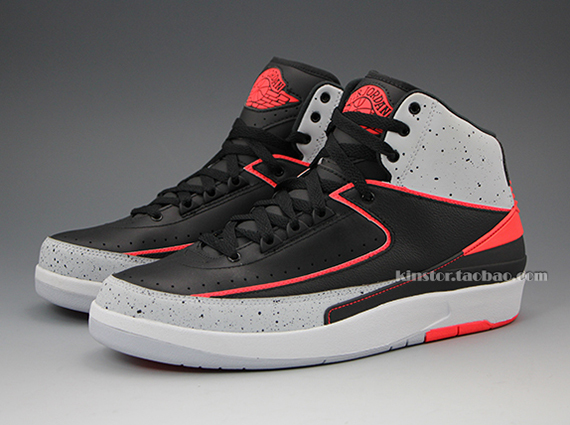 The 'Infrared 23' Air Jordan 2 Retro is set to release April 8th at Jordan Brand accounts nationwide.